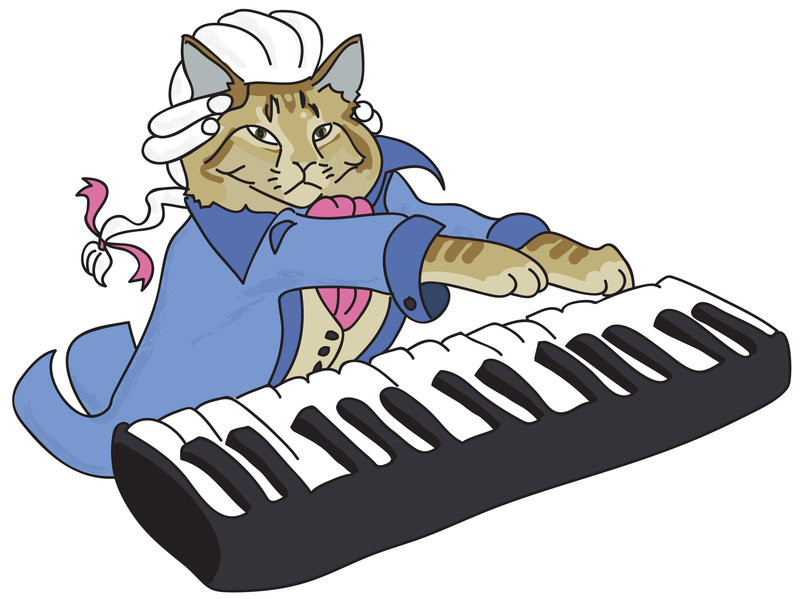 I had some illustration fun lately transforming the Internet’s famed Keyboard Cat, into the serious and adorable Dandycat, complete with powdered wig and cravat! You just know Dandycat is playing that keyboard on the harpsichord setting. I created the image in Illustrator, using my wacom tablet.